You can book a Camogli Italy crewed yacht charter here. Camogli is an old Italian seaside village which is located close to the Portofino Mountain and is only 20 km away from Genoa. Camogli provides interesting landscapes with its colourful fishing boats, quaint port and beautiful rustic houses overlooking the sea. Local fishermen in Camogli are hospitable and friendly. Castello del Dragone or the Dragon’s Castle is worth a visit in the village, which is located between the Camogli beach and perched on top of a rock. The sheer drop offers beautiful views of the sea. Historically, Camogli is a fishing village and has several old maritime traditions. However, today it has become a very popular seaside resort and a tourist location with its surprisingly rich seabed and sandy beach. Camogli also offers delicious, authentic Ligurian cuisine and this is one of the highlights on any Italian holiday. The typical dishes that can be found here are focaccia bread, cheese, St Rocco’s crackers, fish soup, pansotti pasta topped with walnut sauce, trofie pasta topped with pesto, S Fruttoso wine lasagna. There is also a propensity for local fresh salads, vegetables and seafood cooked simply. Camogli offers sensational desserts like orange flavoured custard, chocolate custard, cream puffs with rum and an amazing variety of other delicacies. A yacht charter vacation in Camogli offers a relaxed lifestyle and leisurely pleasures. This quaint seaside resort has a very ‘chilled out’ lifestyle where the main pastime for visitors is sitting at an outdoor café, enjoying a cup of Italian coffee with a croissant and just watching the world go by. For leisure sailors, the port offers beautiful views along with several quaint shops that sell pizzata, cheese and focaccia to visitors. 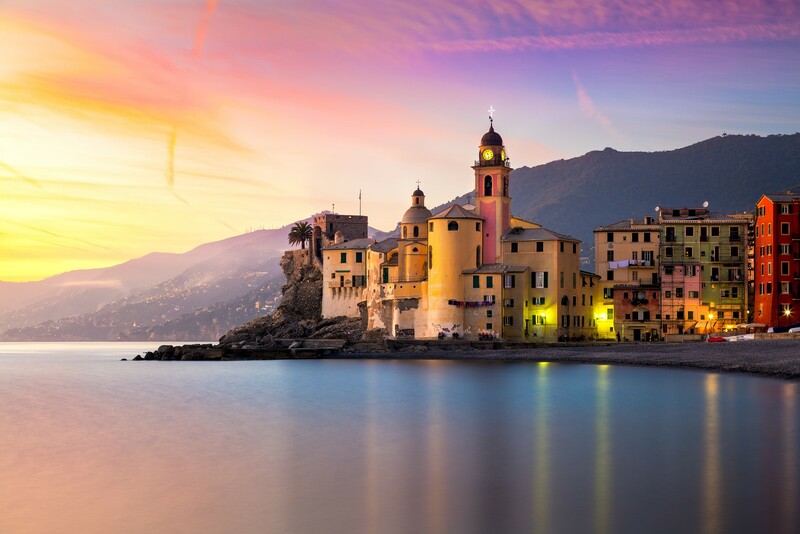 Whether you intend to stop at Camogli just for a day while sailing the Ligurian region or spend a few days in this village, you will likely find it an enjoyable experience on your charter. San Rocco is a district in Camogli and is located on 300 meters above the sea level. The sheer drop from San Rocco offers a stunning panorama and beautiful views of Genoa and the Ligurian coastline. St Rocco’s church is located on a quaint square and was built in 1863. There are several paths that cross the Portofino Park from Camogli San Rocco right up to San Fruttoso and Punta Chiappa. It can be reached on foot through one of the scenic paths that connect it to Camogli. 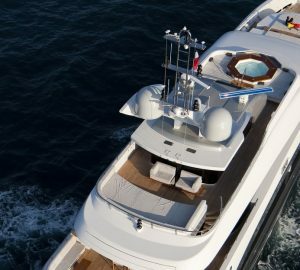 Cagliari Yacht Charters A selection of Sardinia charter yachts is here. Explore Location Guides for great destinations near Camogli .